An uncommon delight for the crackle glass afficionado! Yes, BLENKO Wayne Husted's #6212 design is a CLASSIC, probably the most popular and common piece of Blenko vintage glass next to the 1934 water bottle (which is still in production). (The 6212 was first produced in 1962 and continued on through much of the decade.) However, the 6212 in CRACKLE GLASS is far far harder to come by--this is only my third in nearly 15 years collecting! 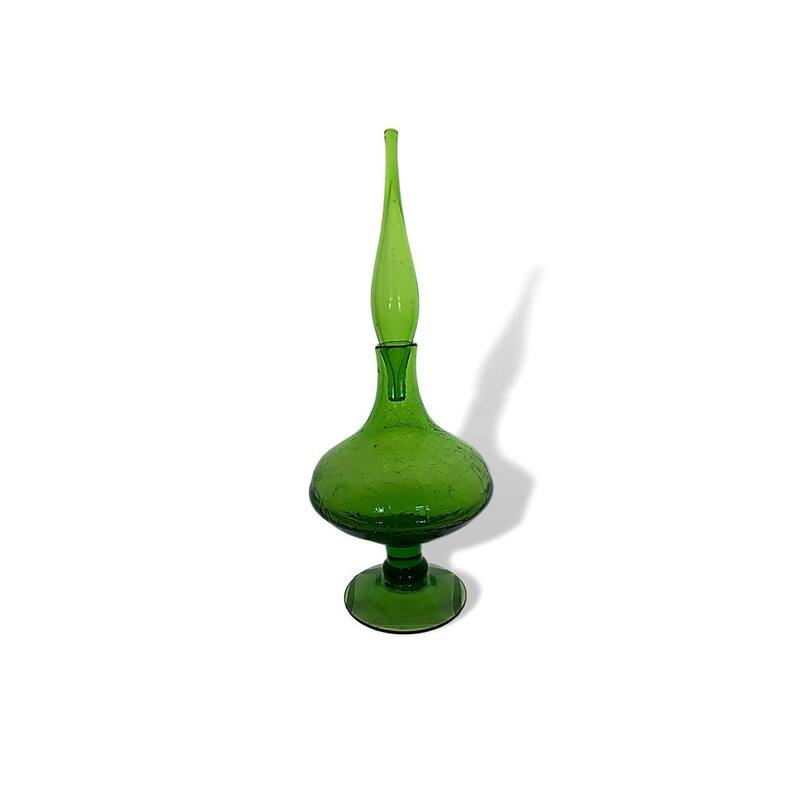 I did some Worthpoint research to check my suspicion on this and indeed, of the 113 6212 decanters sold on online auctions since 2007, only eight have been of crackle glass--and none of these in olive green! (Certainly, many were sold without the catalog numbers mentioned in the listing, but my experience suggests the proportion holds.) Our beauty here is near pristine--in fact, the interior looks never to have held liquid!